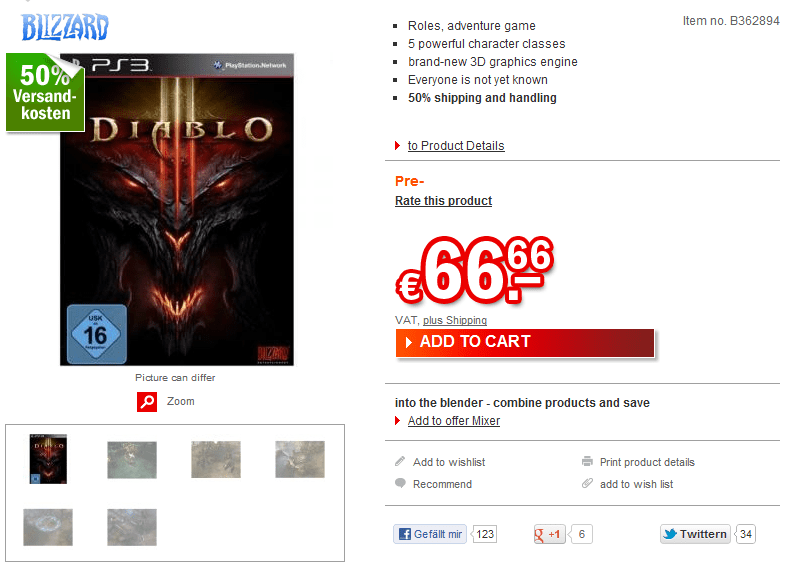 German retailer, redcoon, has listed Diablo 3 for PS3 without any release date. No official announcement or reveal was given by Bizzard or Sony, but seeing as how today will be Sony’s press conference, I wouldn’t be surprised if this was true. Keep in mind, even if this was coming on the Ps3, no one said it would be exclusive to the system (personally would love try this game using the WiiU’s Gamepad). Having Diablo 3 coming on a console could mean serious business for Blizzard, who has yet to fully penetrate the console market. Heck, this could be serious business for PC gaming in general! But with all rumors, you should take them with a grain of salt, and in this case just wait for Sony’s press conference. In the meantime,enjoy your usual “PC vs Console” battles. 2 Comments on "Rumor: Diablo 3 Coming To PS3"